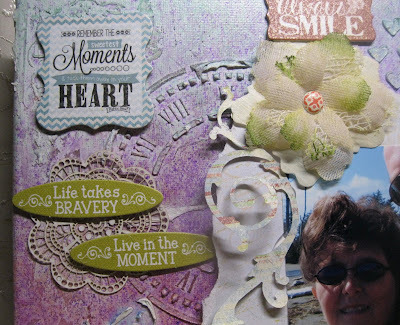 Welcome Quick Quotes friends, Kathi here today to share with you my 12 x 12 canvas layout. I prepared the canvas by prepping with white gesso. 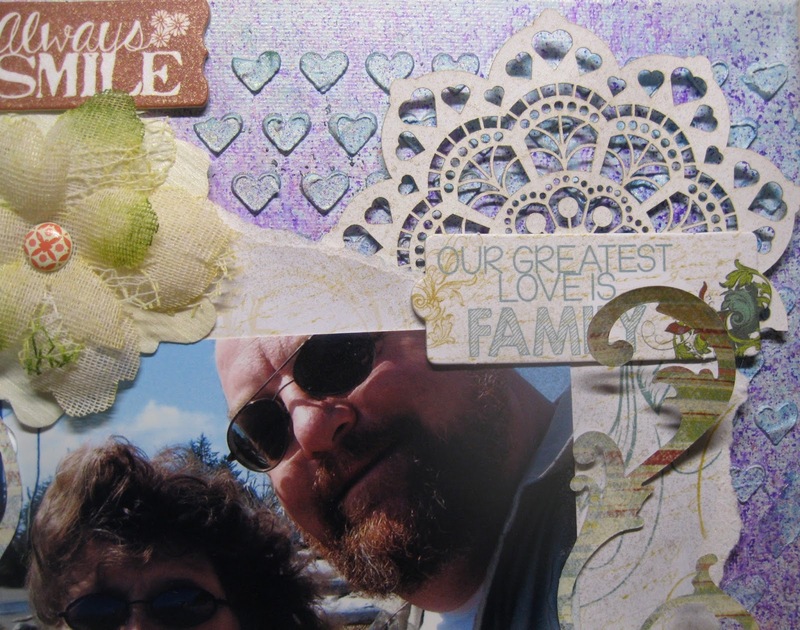 Then I used stencils with DAP Spackling paste to create the background. Next, I used several colors of sprays to finish the background. 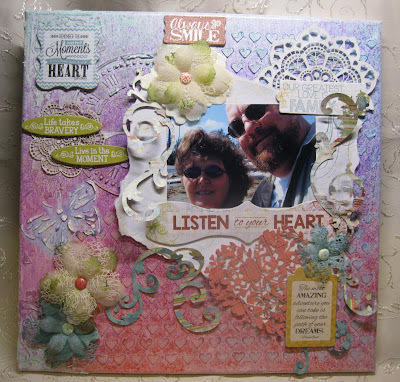 Using Whistlin' Dixie paper collection I began to layer 102 as my base paper, adding a photo I then made flourish and a blooming heart using 100 to create flourishes to accentuate the photo. I finished off the layout by adding Sugar and Gold Glimmer Spay. Close up of the flourish and the blooming heart. Your canvas is wonderful, Kathi. 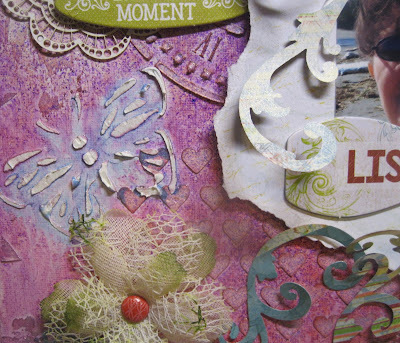 Love your mixed media.